This entry was posted on Tuesday, August 25th, 2009 at 22:54 and is filed under Uncategorized. You can follow any responses to this entry through the RSS 2.0 feed. You can leave a response, or trackback from your own site. It was a very interesting presentation. We were planning to heckle you and Han, but you were too good. 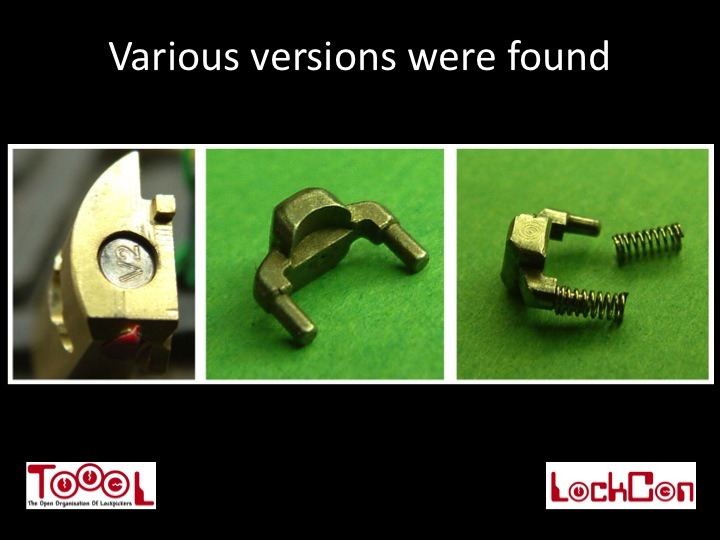 I still worry that the “Exchange all the locks” attitude is going to kill off the (few) remaining small lock companies, as they are likely to have only one lock type, unlike the big companies who can simply plug one of their other non-tarnished brands for a while. We certainly need more small players to keep the lock field innovative. great write up Barry, thanks for the coverage. 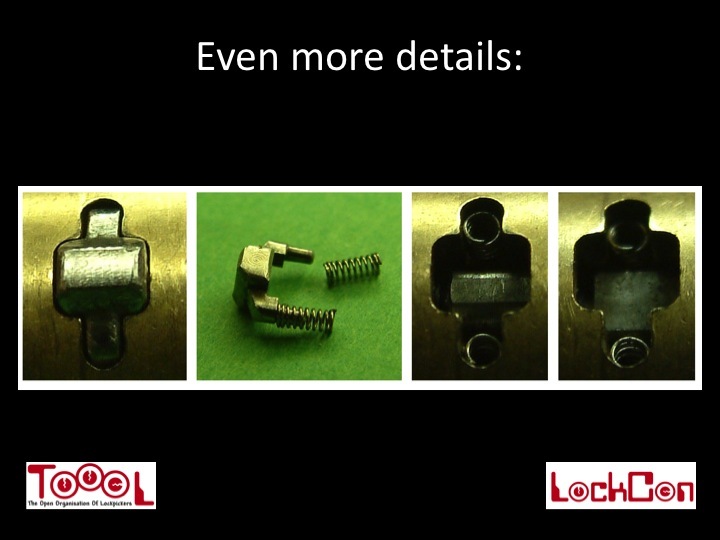 It looks like more and more companies are starting to get into coded locks and they are even easier to compromise than a good mechanical lock. 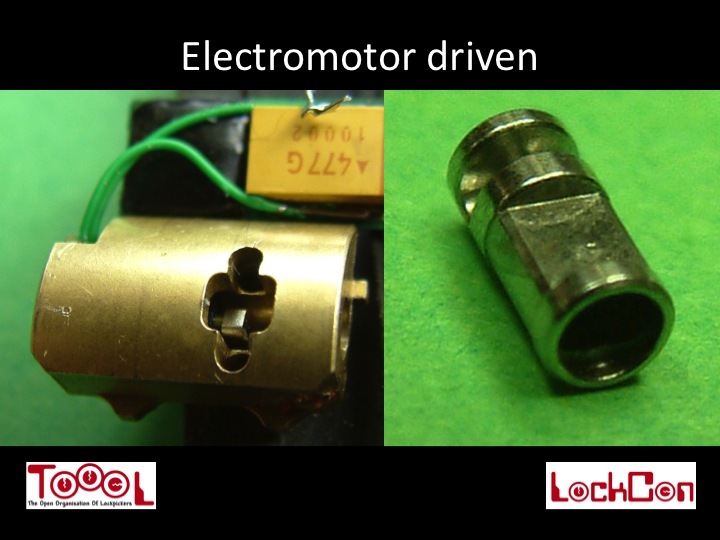 I fully agree with the research and testing groups vs. lock companies campaign. In most cases I really disagree with the “Exchange all locks” attitude too though. For the industrial clients that may be a fine ‘customer service’. Other business related alternatives should be acceptable choices in those instances too. In residential areas it’s a ridiculous request to make of a company. But as you said, negotiations can be had with reasonable, conscientious companies. Great post Barry, excellent videos as well! To comment on what Parker wrote, I wouldn’t hold the twisting pin lock manufacturer to pull every lock they ever made since 1970. 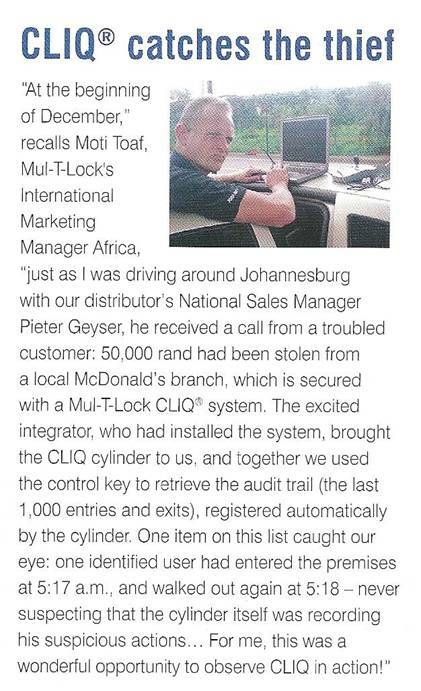 I’m sure that when faced with a design problem that reduced their locks’ security, they would immediately fix the locks for their military, government, and high end corporate customers, but I doubt they would care to even make their fix known to the locksmiths around the country who have bought into their brand. As an end user of a twisting pin deadbolt, I honestly wouldn’t expect my local locksmith to call me offering a free replacement, but at the least, as my lock is registered in the computers in Salem, VA, it would be nice to at least get an email or something via regular mail, saying, Hi, a problem was discovered, we can’t cover it by buying you a new lock, but here it is in detail, just so you can make an informed decision as to your security needs. You can go to the local locksmith who sold it to you and buy the parts to fix it, pay the locksmith to fix it, or do nothing. This scenario would be a good start. Keep up the good work Barry, you’re a bright light in a very dark tunnel. ^^^^The twisting pin manufacturer eh? But seriously, it is a little ridiculous to ask them to replace all the locks. I think maybe they could set something up where when you buy a lock, you have the option pay some fee(maybe some % of the lock price) and then if a major vulnerability is discovered, they will replace/fix all the locks free of charge. Seems like a fair way to compromise. It’s this, and many other small things, that keep me picking under the TOOOL Banner. An attack on locks that use the serial number of an iButton? What’s next–demonstrating vulnerabilities in safes made of wet cardboard? Showing that you can replay a basic iButton serial number is showing us that you can tear apart cardboard–anyone can do that. The iButton serial is not a secure mechanism, and isn’t intended to be. If any “locks” are doing something that absurd, please name them publically. If you can show a vulnerability in the DS1963S–which is actually designed for secure use–you might be saying something interesting. I’m very sure that most of these simply use the basic iButton version. blar, you totally miss the point (possibly on purpose?) If someone uneducated uses a basic iButton as a key for a secure system, then it becomes an issue. 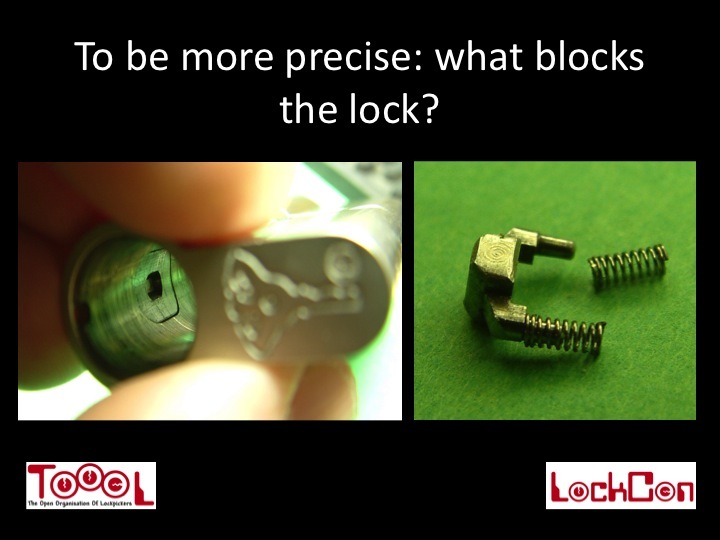 It’s like securing a safe with a wafer lock – if you know nothing about locks, a lock is a lock. Same with data comms and token protocols – you just pick one that meets the few questions you have (generally: Is this easy to use? Is this cheap enough? Can we get 12,000 of them by next Thursday?) and run with that. « 87 seconds …. Jos Weyers! Entries (RSS) and Comments (RSS). 49 queries. 0.386 seconds.